Goals: I would like to travel, be behind the wheel at a track, and host a tv show thats associated with motorsports. A little history: I’ve been into cars since I can remember, my dad had a Z car when I was little, which is one of the reasons I love the car. (the torque helps too!). Living in Minnesota at the time, I couldn’t wait to get my license and as soon as I turned 16, I was going to the tracks and 1/4 mile drag racing. It didn’t take to long to have my old friend Matt take me for a ride in his 240sx, switch seats and tell me to drift. The first attempt was a definite fail-it was a good drift gone bad with a few bumps and scratches on the bumper…to be expected. Instead of being upset he was excited for the drift damage. Then I knew I had to get a rear wheel drive car (which ended up being my red z32) and set it up for drift. After the first drift season in the midwest (Minnesota, Wisconsin, and Illinois) I decided to drive out to California and give the Qualifier for Formula Drift a try to see how I stacked up to the west coast. That day the weather was inconsistent and the majority of the cars crashed-including me, moving the k-rail that was guarding the judges about 2 feet. From then on, I went back to Minnesota, gave everything I owned to friends except for two suitcases of clothes and my laptop, broke my lease at my apartment and within two weeks I moved out to San Diego to improve my drifting. 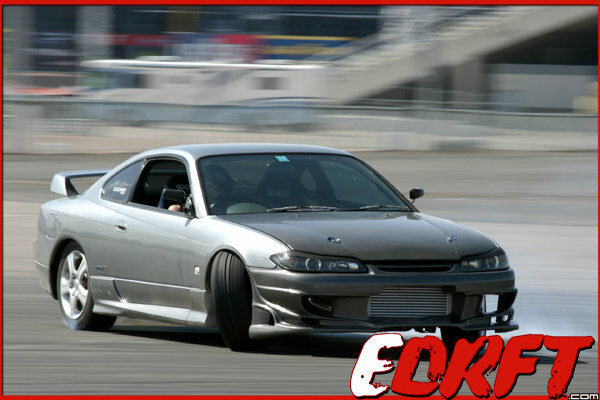 Since then I’ve been drifting a few cars, one of which was a 1999 Nissan Silvia s15. The picture below was taken at Las Vegas Motor Speedway. 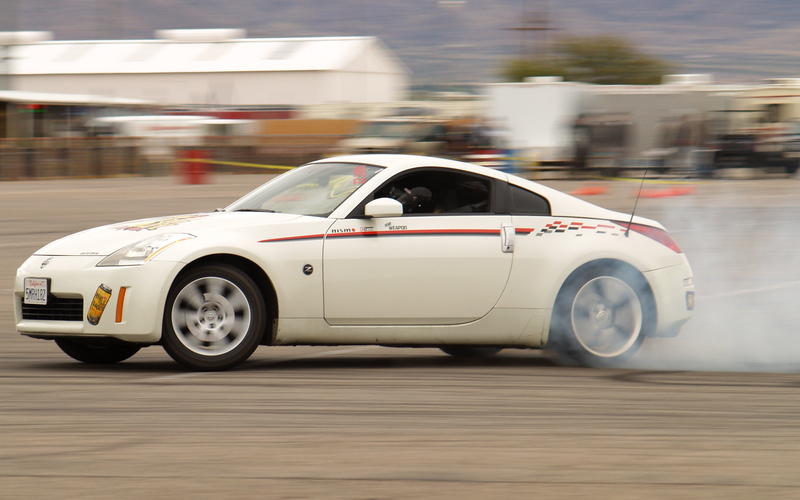 The 350z to me was one of the most predictable cars from the factory. With minor tweaks I believe that is the perfect drift car. In this picture of the Z, It was a bone stock enthusiast model killing it. 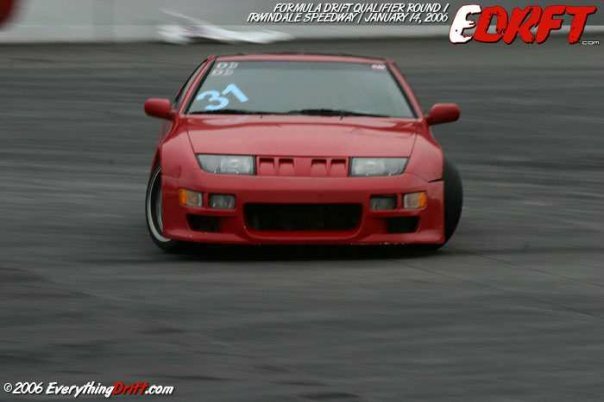 This Z was also briefly in an episode of ‘Tuner Vision’ on Speed Channel November of ’07 when the Hankook Porsche and S15 were drifting with us at a Drift Buffet event at Orange Show Speedway. The bio looks good. Some good reading. hope to learn more in person soon. Great job on site. Cool stuff. It was great meeting you at the self storage today. I never realized that all this existed. I used to drift with my 1967 Camero Rally Sport. It had a light back end and was easy to break the tires loose. It was a 327 powered 4 speed. I’m sure you’re much better at it than I ever was. I’ll check for the tires when the site is up. Happy drifting! BTW lemme know when you need the tires for your truck! Wow, does that sound like fun! I think I am in Las Vegas that date. I have to check. Thank you so much for the invite. I would love it. Now I have finally got out of Tucson, would love to see you drift in PHX. Looking forward to seeing you again, last time was on the plane..